Tuscany is by far the most famous Italian region among foreign travelers, still it is mainly identified with Florence, Siena, and the Chianti hills. 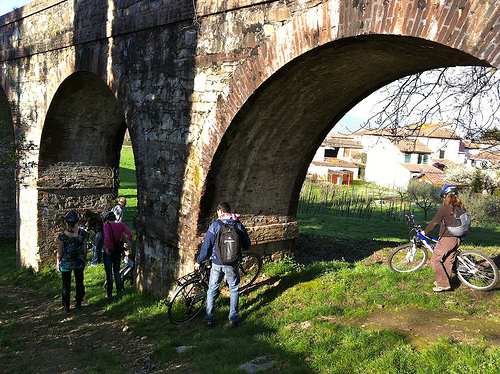 There are many hidden treasures in the Serchio Valley, an area comprised between Pisa and Lucca. Less glamorous but more authentic, it can make you feel living like a local. Don’t ever think of staying on a diet. Believe me, it is absolutely im-pos-si-ble! Food is awesome, and there are plenty of cosy places where you can find local organic products of great quality and wonderful taste. Want to see a few examples? 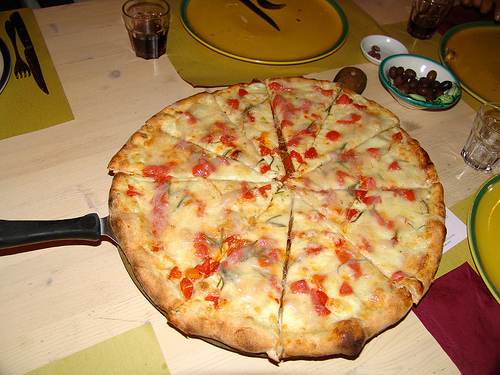 Pizza con il lardo di Colonnata (pure pork fat!) is one of the most popular at Lo Zenzero, a lovely wine bar in Vecchiano (about 8 km North of Pisa). 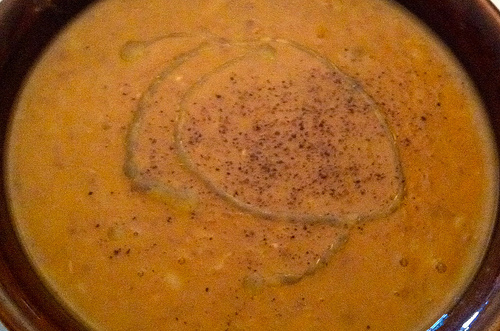 Once you taste it, you won’t be surprised: it is delicious! 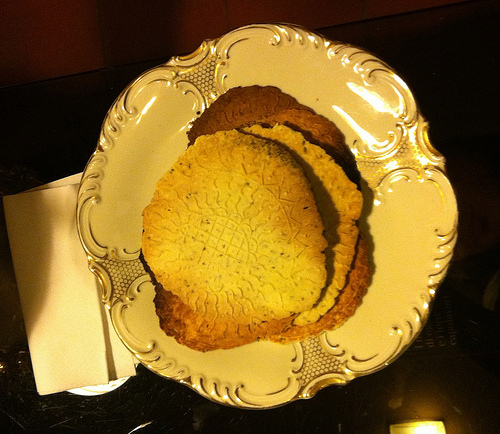 Brigidini are traditional Tuscan biscuits, owing their name and recipe to a nun named Brigida. One day, Brigida messed up the batter to make hosts and to avoid wasting the batter the nuns decided to flavor it with anise and other flavors, thus creating a new kind of biscuits. We cooked them in the fireplace at Casa Gentili using a very old tool similar to a long pincer with to flat metal dishes at the end where you put small balls of batter. 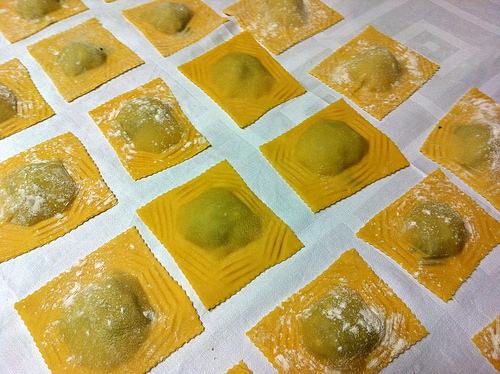 The best way to taste Brigidini? With a good glass of Vin Santo, the traditional dessert wine! 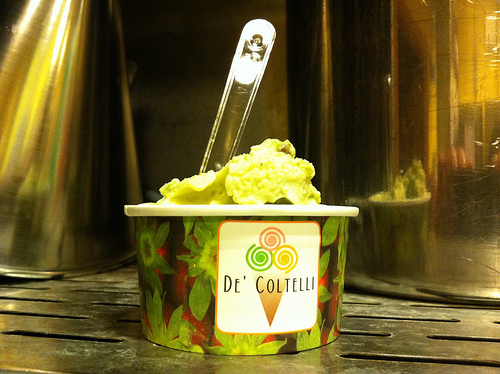 Gelato… Ice Cream and granita at Gelateria De Coltelli in Pisa are simply sublime. They are handmade following the ancient tradition and recipes, using only local organic seasonal products. And the taste is… there are no words to describe it. You just have to taste it by yourself. A journey in Italy wouldn’t be complete without pasta. I will remember for a long time the delicious Tortelli with ragù sauce prepared by Cuoche in Vacanza during their lovely show cooking at Casa Gentili. Not to speak of the Tagliatelle with artichokes. Another Tuscan specialty that should not be missed is the Zuppa di farro, a thick soup made of red beans, spelt, rosemary and served with local extra-virgin olive oil. I tasted a very good one at Ristorante La Cecca, a well-known place in the outskirts of Lucca. Most traditional dishes are very simple, and their taste is all about the quality of the ingredients. 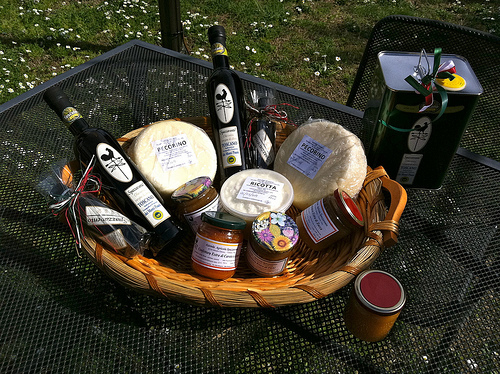 You can taste exquisite organic olive oil, cheese, honey and jam at Agriturismo Spazzavento, while enjoying the stretch of olive trees and the view over the valley. 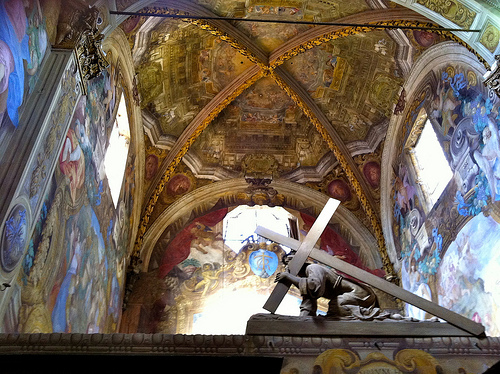 The proximity of the Vatican and the Pope can be found everywhere in Italy: Churches, Monasteries, Convents, Religious paintings and sculptures are disseminated throughout the country. 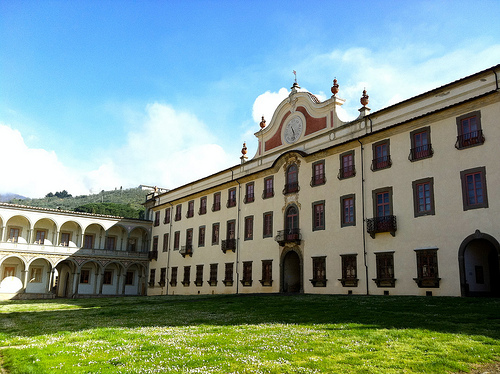 The Calci Charterhouse (Certosa di Calci, 10 km from Pisa), is an extremely well preserved Carthusian Monastery dating back to 1366-67 whose beauty will leave you speechless. Our excellent guide from Pisatour introduced us to the extremely austere life of the monks living in total seclusion and to the wonderful frescoes decorating the refectory and other public spaces. The old Nicosia Monastery, dating back to 1267, has been abandoned in the 1970’s and since then has undergone a progressive deterioration. In 2004, a few volunteers of the area established an Association called Nicosia Nostra with the objective to preserve an important piece of the local historical heritage. 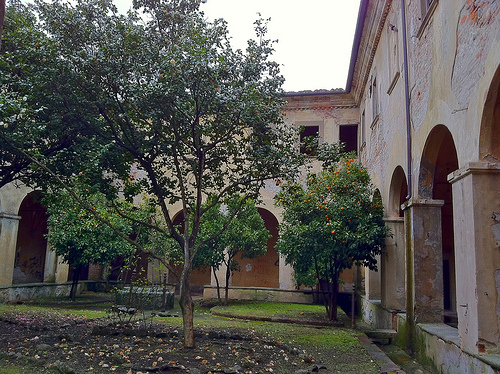 Thanks to the impressive work by the volunteers, the monastery has been partially cleaned and the cloisters have been reconditioned and today it hosts several events, the most famous of which is the Festa delle Camelie celebrating the blooming camellias in the cloister. 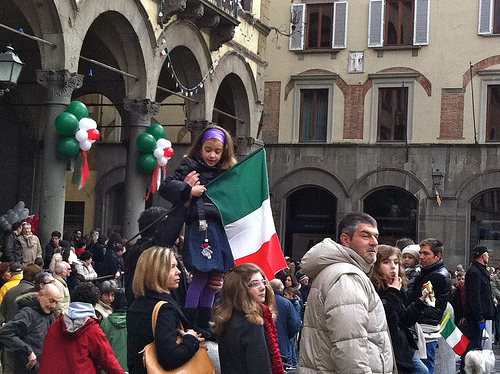 Despite the clouds and the rain, visiting Lucca the day Italy was celebrating its 150th Birthday (March 17, 2011) was a unique experience. Everywhere the city was decorated with the tricolored Italian flag and there was a wonderful sense of joy among the people filling the small streets and the old squares. 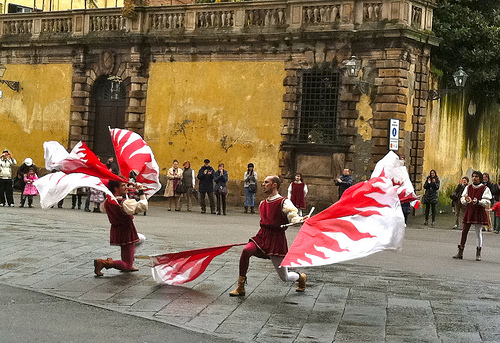 The most memorable moment was the show by the flag weavers, wearing the traditional medieval costumes. I couldn’t stop looking at the graciously dancing flags, an enchanting performance. This trip was all about sharing experiences and discover off-the-beaten-path itineraries. Emilio and Serena from Eco-guide guided us on a lovely bike tour on Lucca walls and along the old aqueduct in the outskirts and we were rewarded for the effort with an excellent ice-cream. 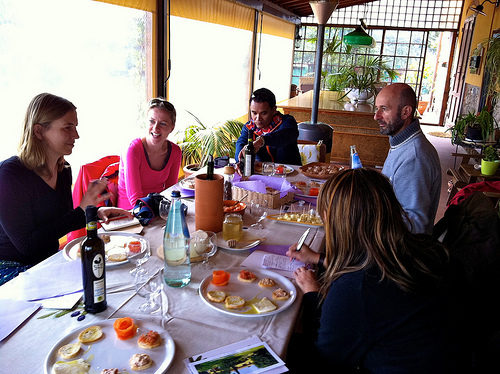 Having a good time around the table, savoring the fresh local products and sharing the love of the locals for their land and traditions is one of the things that makes a tour in the Serchio Valley such a beautiful and enriching experience. So beautiful! I need to spend a lot more time in Tuscany and thank you for the foodie highlights! 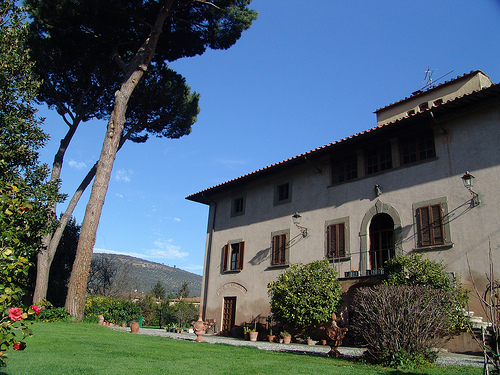 Great overview on this overlooked region of Tuscany. I had no idea it existed until your article and appetizing images brought it life for all of us. Amazing food pics…I am craving Italian, authentic Italian from Tuscany!!!! Ciao!! Always love seeing more of Italy. Thanks for the photos.Tuscany is wonderful but I don’t think I can choose a favorite region. Love the Piedemonte, Calabria, Lombardia… etc. Going back in June and can hardly wait. Beautiful shots. It reminds us that we’ve never had a bad meal when we were in Italy. I honestly don’t know how the people there manage to stay slim and beautiful. Thank you so much for your review! We’re really glad that you appreciate our ice-cream! Kisses from Pisa! I loved your ice cream!!! Can’t wait to come back to get some more! 🙂 Cheers from Milan! Thank you Abi. Couldn’t say how the picture came out. It just… came out! 🙂 But nothing comparable to your wonderful pictures! Wow – what gorgeous photos Simon! I feel like I’m really there…and have to admit I kind of wish I was 🙂 Looks like it was a wonderful experience!